The above image was generated by some software called IOGraphica that tracks my mouse movements over the course of a given amount of time and represents that data with these cool looking graphics. This is 8 hours on a 27inch Imac. On this particular day I was editing video for most of it. 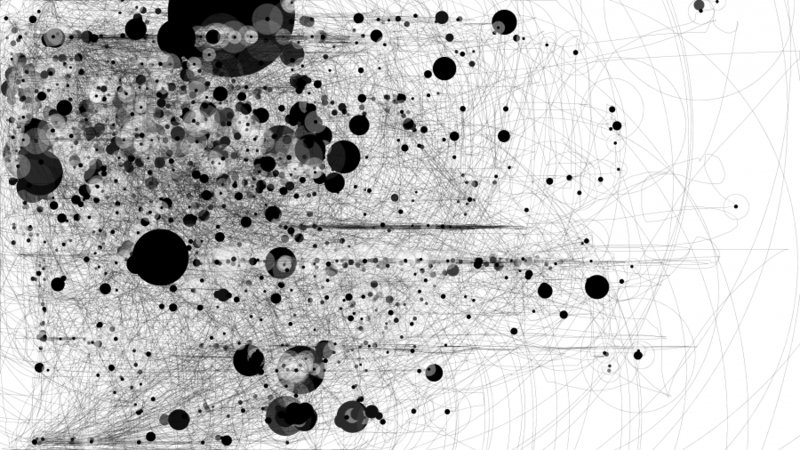 The black dots are when my mouse was still. The largest black dot was when I went to lunch. The major horizontal lines are the scrub lines in Final Cut Pro. Pretty cool… if you try it out, post a comment with your results!